One of the most popular and traditional Italian dishes, particularly in America, is the simple and flavorful tomato & mozzarella salad, also known as a caprese salad. This no-cook dish pairs rich slices of creamy fresh mozzarella cheese layered with juicy red tomato slices, fresh basil and high quality extra virgin olive oil. A splash of balsamic vinegar on top provides the perfect acidity to balance the dish. The colors of the dish - red, white and green - will make any Italian or Italian-American feel patriotic! The recipe below only includes a handful of ingredients, many of which you may already have in your kitchen! Throwing these ingredients together couldn't be easier, and with a prep time of just 10-15 minutes, you can have this delicious and healthy dish ready for your family faster than you can order Italian takeout! On your preferred serving platter, form the base of the salad by alternating slices of tomato and mozzarella and putting a basil leaf or two between each layer. 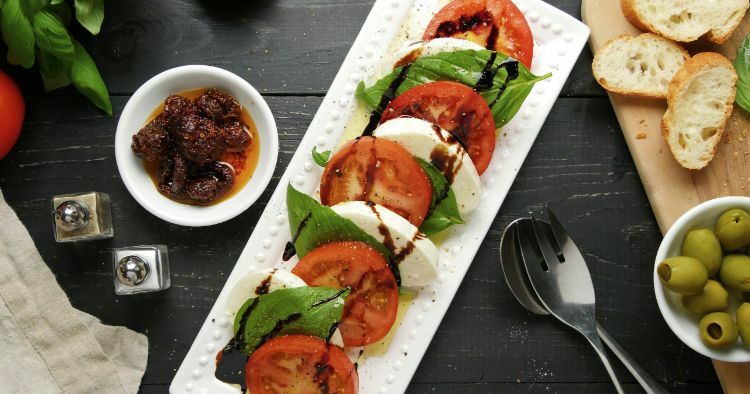 Once all the tomato and mozzarella has been used, drizzle the salad with extra virgin olive oil and balsamic vinegar so that all the layers have been seasoned. 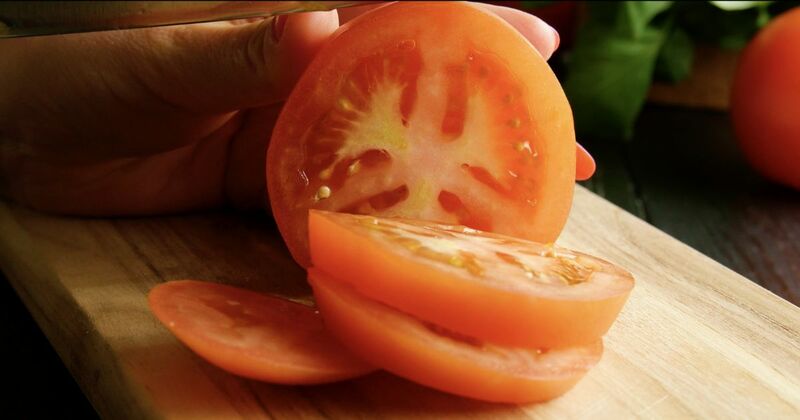 Season the top of the salad with a generous pinch of Kosher salt and fresh ground black pepper, to taste. Garnish with more whole or julienned fresh basil leaves, and serve immediately from the platter, making sure each served portion has at least 2 layers of tomato and mozzarella. Pro-tip: For a thicker, sweeter dressing, use a balsamic vinegar reduction on the salad instead of regular balsamic vinegar. Gently simmer your balsamic vinegar in a small sauce pan over medium-low heat until the vinegar becomes thick and syrupy. Pro-tip: Other tomatoes, like plum, cherry and Roma, while not "traditional," would also taste fantastic in this dish!